When I say "employee wellness," what's the first thing that comes to your mind? Cholesterol screenings? Flu shots? Lunch-and-learns? I'm sure everyone thinks of something different. June is Men's Health Month, which means it's a great time to think about the men in your employee population. 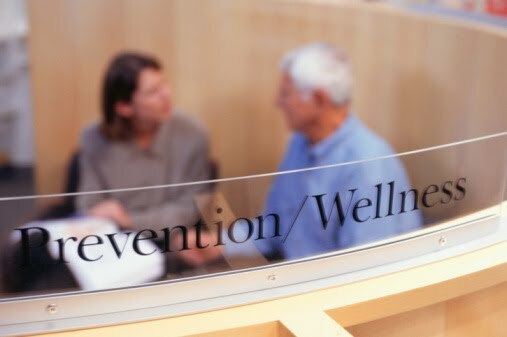 Are your wellness initiatives speaking to them? Too often, I think, wellness programs fail to emphasize men's health issues. Provide information on preventive screenings that apply specifically to them. If your medical plan covers these screenings, let them know! Direct the men in your population to the many free resources provided by the CDC and the Mayo Clinic. Try organizing a competitive weight loss or fitness challenge. (If you need help, drop us a line.) The competitions we've designed for our clients consistently generate high participation rates among men. Team sports improve morale, enhance camaraderie, and they're an excellent way to get people moving. When we survey our clients, men often express an interest in forming company teams. Take advantage of that interest and make it happen! What other ideas do you have to get men involved in wellness? I'd love to read your experiences, so be sure to leave a comment below. Gracias to Debbie, our resident snake-wrestler, for suggesting today's blog. Mens health is a very important issue that needs more focus in the media and medical community. Although a lot of progress has occurred over the past twenty years there is still much to do. We need to distinguish real health issues from cosmetic needs and assumptions. All too often when you hear Mens or Womans health it tends to lean towards beauty topics versus wellness as we are advocating here in your blog. Thank you for providing great info about the issue. I am an admirer of your website. Keep up the good work. Many thanks for a good time visiting your web blog. I am highly pleased and right now an aficionado. I have learned so much from here. Make sure you update this again soon. Cheers! Men's health is important. Lifestyle changes such as eating healthy and getting plenty of exercise can prevent some diseases and conditions. Wellness Corporate Solutions is a nationwide provider of employee wellness programs and biometric screenings. We offer this blog to help benefits brokers, HR managers and others in the wellness industry stay current. We're a "100 Best" Blog! Corporate Wellness Insights has been listed in "Health Policy 100: The 100 Best Health Care Policy Blogs." Compiled by the Health Tech Blog, the list includes many of our favorites, including HR Benefits Alert and the WSJ Health Blog. We're honored to be in such good company. Check out the list for others you may enjoy. Copyright 2013 by Wellness Corporate Solutions, LLC. Simple theme. Powered by Blogger.